It’s simple. It’s clean. It’s fresh. It’s absolutely lovely! 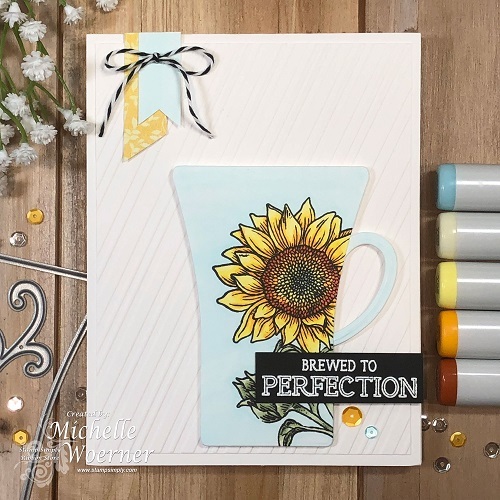 I love the placement of the sunflower on the cup along with the cute little tabs on the upper portion of the card with the sweet little baker’s twine bow. 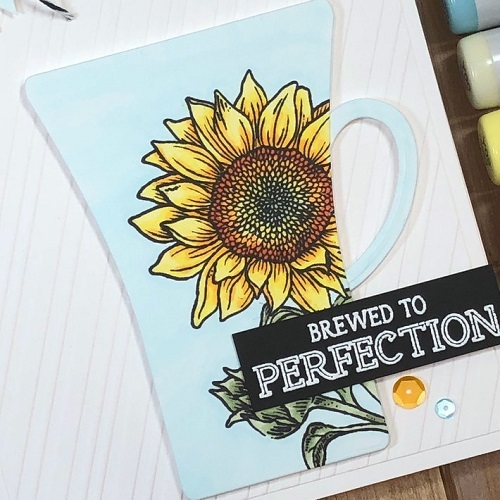 Michelle colored her sunflower with Copics. 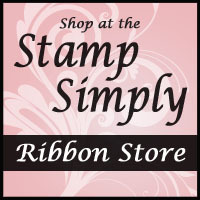 I love how clean this project is – a subtle embossed background – simple embellishments. 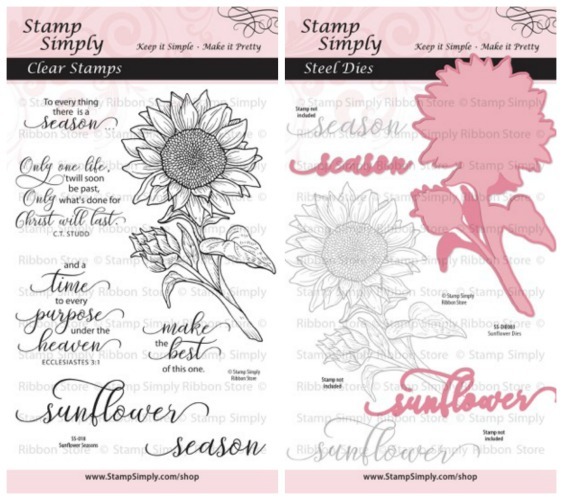 Find Spellbinders embossing folders here – REDUCED! These sets coordinate beautifully with our previous coffee sets called Coffee or Tea? 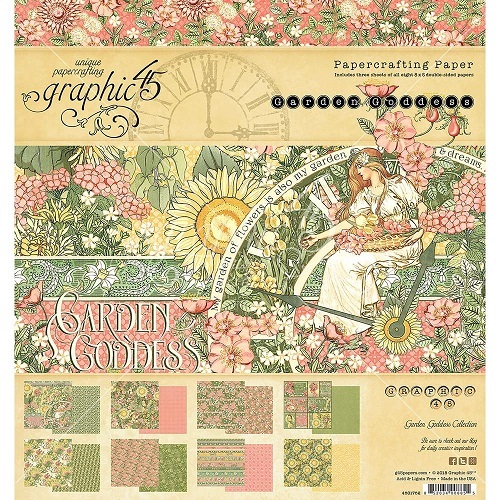 Find ALL Graphic 45 in stock here – MUCH IS ON SALE! Another beauty! 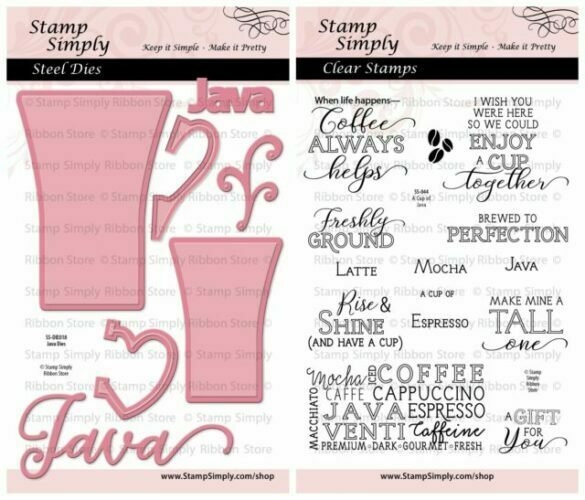 I’m going to share it in the Coffee Loving Papercrafters FB group!